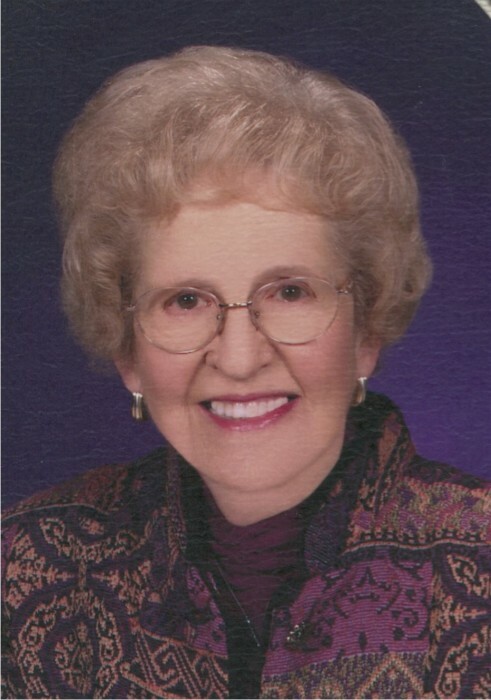 Obituary for Gloria E. (Bohn) Wilson | Timothy A. Berkebile Funeral Home Inc.
Gloria E. Wilson, 92, of Bedford, died on April 3, 2018 at her residence. She was born on August 28, 1925, in Carroll County, MD, a daughter of the late Clyde and Letha (Blaxsten) Bohn. On October 29, 1949, in Cumberland, MD, she married Perry C. Wilson Jr. who preceded her in death on February 27, 1982. She is survived by a daughter, Diane Shatzer and husband Wayne, of Clearville; Three grandchildren: Jennifer Farringer and husband John, of Waverly Hall, GA; Carrie Shatzer and fiancé Lawrence Hunter, of Knoxville, TN; Adam Shatzer and wife Chelsea, of Clearville; and two great-grandchildren, Alex and Brystal; and one sister, Reba Burrier and husband Kenneth “Joe” of Union Bridge, MD. She was preceded in death by three brothers Ralph Bohn, Clarence Bohn, widow Ada, surviving of Sykesville, MD, and Clyde Bohn Jr., widow Joyce, surviving of Woodsboro, MD. Gloria graduated in 1942 from New Windsor High School in MD, and Bridgewater College in 1946 with a B.S. degree in Home Economics. In Cumberland, MD, she worked for the Maryland Extension Service as an Asst. Home Demonstrator. As an agent she worked with over forty 4H clubs in Allegany County. She taught at various positions within the Bedford School District. She was devoted to her church and community with special interest in gardening and traveling. She was a member of the Bedford Church of the Brethren, Bedford County Garden Club, Bedford Springs Chapter #41 Order of Eastern Star. She was a life member of the PA Association of School Retirees in Bedford County and the Bedford County RSVP group. Funeral Services will be held on Saturday, April 7, 2018, at 1:00 p.m. at the Bedford Church of the Brethren, with Rev. Jan King and Rev. John Bennett officiating. Burial will be private. Friends will be received on Friday, April 6, 2018, from 2 - 4 and 6 - 8 p.m. at the Timothy A. Berkebile Funeral Home, in Bedford and one hour prior to the service on Saturday at the church. Those wishing may make memorial contributions in Gloria’s name to the Bedford Church of the Brethren, 310 Donahue Manor Road, Bedford, PA 15522. Our online guest book is available at www.berkebilefuneralhome.com.